What would the cover of the Wired Magazine look like if it featured your company? What would the headline read? Who would they quote? What pictures would they use? Not the usual questions that come to mind when developing a new product, growing a start up, or re-imaging a more amicable and efficient work environment. Yet these questions reflect just one of the many alternate approaches to problem solving that design thinking principles and processes are based on. 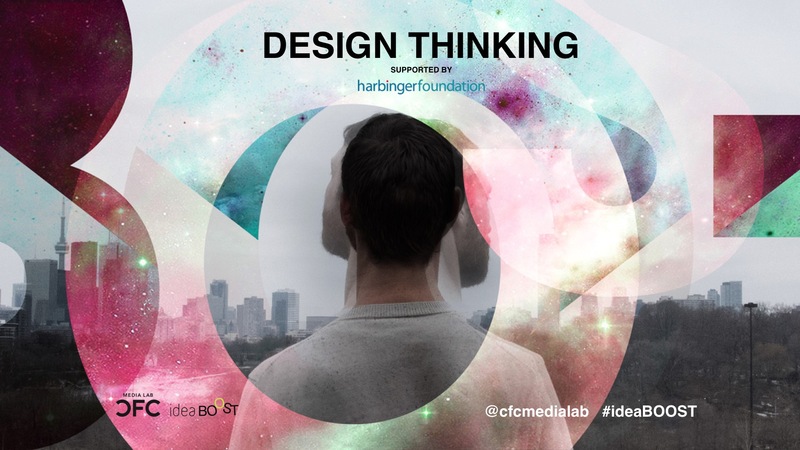 The CFC Media Lab ideaBOOST Accelerator, with the generous support of the Harbinger Foundation, recently delivered a hands-on, intensive, day-and-a-half workshop introducing design thinking methodology and problem solving principles. Participants invited to this workshop, the first in a series of design-based initiatives between ideaBOOST and the Harbinger Foundation, ranged the gamut from ideaBOOST portfolio companies and mentors, creative business owners, academics, and both CFC and Media Lab staff. 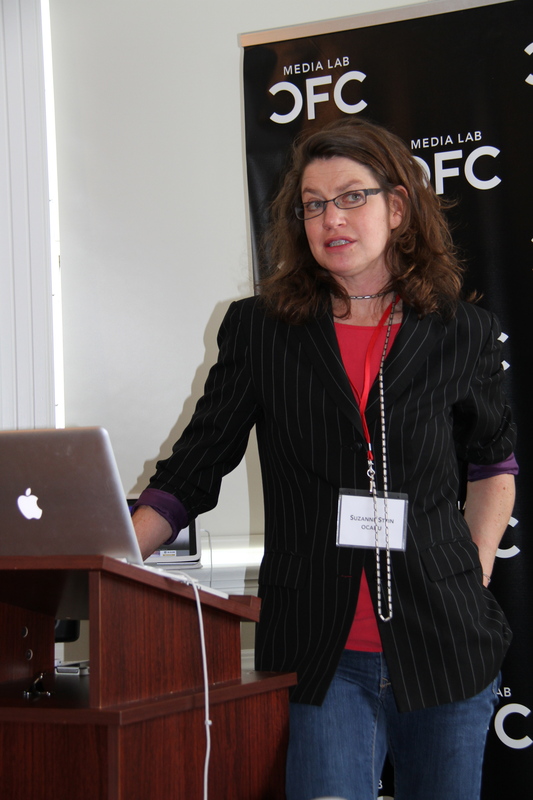 “The Harbinger Foundation is very happy to support ideaBOOST and enable the CFC to enrich their program portfolio. The Design Thinking Techniques Workshop was a learn-by-doing environment that asked all of us to roll up our sleeves, join a group and dive in. I think that everyone walked away with new ideas that were immediately applicable to their work.” Connie Wansbrough, Harbinger Foundation. The overarching takeaway for those not yet familiar with design-based thinking is, that many problems offer a unique opportunity for creative collaboration. By asking a diverse group of stakeholders the same questions, based on (human) desirability, (technical) feasibility and (economic) viability, you’ll get as many different answers – which is A GOOD THING. Then, by implementing a design thinking approach in order to distill the answer(s) i.e. by combining both divergent and convergent modes of thinking, you’ll arrive at a more holistic design solution – than if you gave the challenge to an isolated, homogenized group. So, once again, we see that diversity breeds innovation - a simple truth, which, in these heady days of constant change, no company can afford to overlook.